This indicator can be used to help learn the Al Brooks "bar system". It finds and labels H, L, Outside, and Inside bars. Finds and labels "H" and "L" bars with a text letter above the candle. (brackets the candle with Up triangle and Down triangle). Finds and flags "outside Bars"....default prints "O" at high and low of bar. 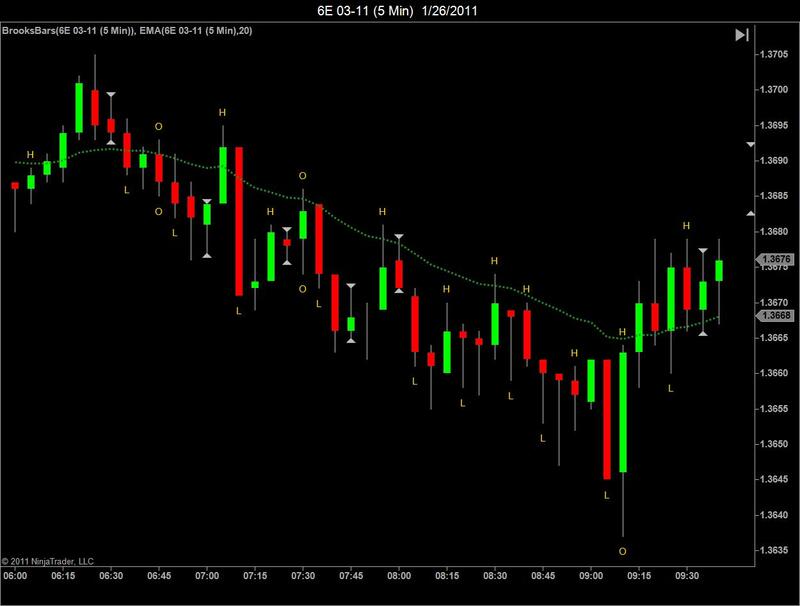 Change setting to &apos;true&apos; and the indicator will try to calculate either H or L for the outside bar value for you based on prior candle. Color of text and triangle flags is completely configurable, as is the Font size/type, and &apos;offset spacing from the candle for text.